Figs are a sweet fruit that are considered a delicacy, for humans that is. Are figs a safe sweet treat for your four-legged buddy? There are supporters and opponent to feeding figs to dogs and both parties have their valid reason. 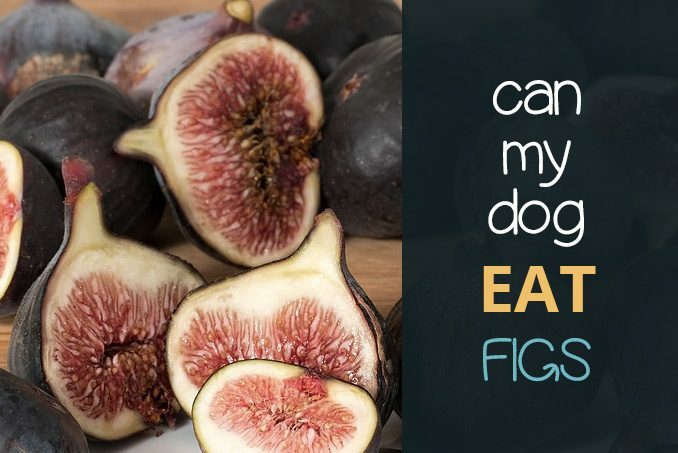 This article will outline some of the reason why an occasional fig is safe for dogs to eat but also why figs are potentially dangerous for dogs. 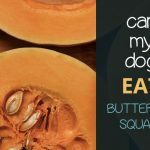 Most pet owners will have shared a little bit of their food with their canine. Dogs may have been given human food as a special treat or as a replacement for their regular kibble. Before you decide to give Fido human food, remember that dogs may react differently to certain foods. With figs in particular, it is important to proceed with caution. 1 Are Figs Poisonous to Dogs? 2 How Nutritious are Figs? 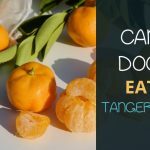 3 How Can Figs Be Added to A Dog’s Diet? 4 Fresh or Dried Figs? Are Figs Poisonous to Dogs? The source of fig poisoning in dogs is actually the fig plant, also known as a rubber plant, not the fruit itself. The sap inside leaves and stems of fig plants contain a toxin called ficin. When a dog ingests the leaves or stem of a fig plant or when Rover simply comes into direct contact with the sap of a fig plant, a toxic reaction can occur. The fig fruit itself is not poisonous to dogs. However, as with introducing any new foods to your furry friend, take caution. Ensure your dog is not allergic to figs first. Try giving your dog just one fig and monitor him for any allergic reactions for the next few days. If you suspect that your pup has ingested parts of a fig plant or has touched its sap, consult your vet. The following are potential signs of poisoning in a dog. 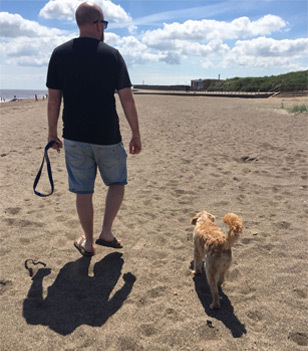 Also check whether your dogs behaviour shows signs of discomfort such as excessive scratching, especially in the face or general restlessness. Figs are a source of dietary fibre. In both dogs and humans, the fibre packed into figs will aid a healthy digestion. However, dogs are more sensitive to added fibre in their diet than humans are. Feeding a dog too many figs can cause their stool to become much softer or even lead to diarrhoea. On the other hand, if your dog is constipated feeding them one or two figs may help ease his digestion. Figs are rich in minerals such as manganese, copper and potassium. Potassium is necessary for keeping all the cells and enzymes in the body working regularly. In humans potassium may also help to control blood pressure levels. 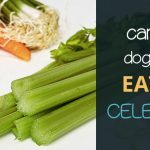 Again, a dog dietary needs and reactions to foods are different to that of humans. If you suspect your dog could benefit from extra potassium in their diet, consult your vet first. There may be other health conditions in play. Figs contain natural sugars. 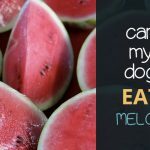 Though the natural sugars found in fruit is preferable to processed sugars, adding sugars and starch to a dog’s diet should only be done in careful moderation. 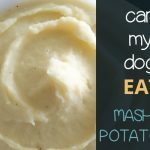 Carbohydrates or starchy foods give your pet an extra burst of energy, just as it would in humans. However, canines have much less need for carbohydrates than humans. 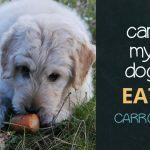 Carbohydrate-rich diets can cause obesity in dogs. If your dog is already heavier than recommended for his breed or if your dog is obese, choose a treat with a lower sugar content. How Can Figs Be Added to A Dog’s Diet? Figs, like all fruit, should not be a major part of a dog’s regular diet. A dog’s main source of nutrition should come from protein. If you would like to give your dog a little treat once in a while, figs could be an option. First, test if your dog is allergic to figs. Do so by feeding him only 1 bite of the fig spread out during the day. Then monitor for any allergic reactions during the next 2 days. Also check if Fido experiences any gastrointestinal discomfort or changes in his stool. If your dog seems to enjoy the taste and didn’t experience any adverse reactions, then figs are a safe treat for your buddy. The following are signs that your dog may be allergic to figs. If you suspect that your dog may have any of these allergic reactions to figs, consult your vet as soon as possible. Obviously, also directly discontinue feeding your dog figs. Figs should only be an occasional treat. You may choose to feed your dog 1 or 2 figs only once or maximum twice a week. Any more than that is likely to have an effect on your dog’s digestion and even energy spikes. Adjust the serving size of figs to your dog’s breed, age and weight. For example, just one fig once a week for a small breed like a pug may be the right amount while a large young Rhodesian Ridgeback could be served two figs twice a week. Both fresh and dried figs are safe for your dog to eat. The choice between them is personal. Depending on where you and your pet are in the world, one or the other may be more readily available and thus the more practical snack. If you do choose for dried figs, check that there no additives or added sugars. Your dog will do better with natural products and without artificial sugars. In conclusion, figs can be a safe occasional treat for you dog if the necessary precautions are taken and the sugar content is acceptable for your dog. Slowly introduce the new food into his diet to monitor any unwanted reactions. Limit the serving size of figs, whether fresh or dried, to only a couple pieces once or twice a week. To read more about figs for digs please check out the following article.